Avant-Garde advisors are jetsetters with firsthand knowledge and experience to elevate your travel to the next level. With our headquarters located in beautiful San Diego, CA, Avant-Garde Travel is a collective of travel advisors who are experts in their field. For each trip, we start with establishing a vision and designing a concept based on our clients individual needs and interests. Then, our team of experienced advisors cover everything for your upcoming journey - from the initial reservation down to the minuscule details you haven't yet thought of such as luggage shipment and restaurant reservations. From small group experiences, to private and personalized tours, our design lies in the thoughtful intersection between service and value. 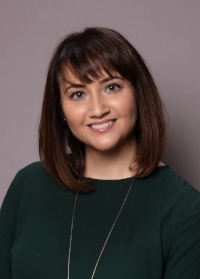 Aimee Leon has over 14 years in the travel industry, has visited over 30 countries and worked with the top cruise lines, tour operators and luxury hotels in the business. She spent the past several years of her career at a leading luxury Virtuoso agency overseeing the leisure division, handling all independent contractor business development and agency sales and marketing efforts. She started Avant-Garde Travel to cater to fellow travelers who, like her, look for unique experiences, off the beaten path and upcoming destinations. She enjoys staying at luxury properties with a modern design as well as hotels that encompass their surrounding heritage. When she is not working she enjoys traveling (of course), photography, going to live music venues and spending time with her hubby and two adorable miniature dachshunds. Effie Patrianakos has been helping clients realize their travel dreams since 1992. Based in Canada, Effie’s passion is cruising and she has had the opportunity to work with and learn from the leading players in the industry. She has well established relationships with the representatives from every cruise line, allowing her to ensure that her clients are getting the very best deals available! Effie is our resident cruise expert, as she has intimate knowledge of all cruise lines, having personally experienced each one during her tenure in the industry. Luxury cruising is her premier specialty and her clients trust her exclusively when it comes to choosing their next voyage. Effie is always in her office, based in Canada, working hard to ensure that her clients receive the time and attention they need. Gina Ruggiero has been in the travel industry since 1992. Born and raised in the Boston area, Gina has also lived in Alaska, Maui, Arizona and has recently relocated to Southern California. With a family background rich in Italian culture, specializing in Italian vacations became a natural transition, providing her clients with a unique and memorable experience savoring the wonderful pleasures of Italy. Unable to always find the “perfect holiday experience” for many of her clients, she set out to create it. In 2006 she launched Where to World out of her wish to create an “authentic holiday experience” for many of her clients. 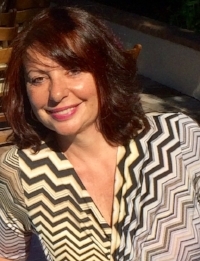 Gina's focus and true passion is sending people to Italy while offering an independent holiday specific to unique interests and authentic experiences. She also has a Castle in Tuscany for special events and larger groups. Her small group programs are customized for women’s affiliations, art and photography workshops, cooking holidays, local NPR station and special friends and family occasions. In addition to being our "in-house" Italy expert, Gina has also traveled extensively throughout Europe and the Caribbean, loves Mexico and Central America and dreams of sailing a yacht around the world. Maya Abdo has been a professional travel advisor for 24 years. Originally from Haifa, Israel and fluent in Arabic and Hebrew – when Maya moved to the US in 1991 she was looking for a career change that incorporated the two loves of her life – people & travel. After attending the Anderson Travel Academy she began her career path in the Travel industry and hasn’t looked back. In addition to high end luxury travel for individuals, Maya specializes in groups to the Middle East, with emphasis on the Bible Lands , as well as Dubai, UAE and Turkey. She is passionate about bringing clients and escorting groups to these countries, as they are her favorite destinations in the world, where she feels most at home and can really immerse her clients in cultural experiences like no other. Besides traveling, she enjoys reading & writing and - not only has she had her travel articles published - Maya is also a guest lecturer at local colleges and universities speaking as an expert on a variety of travel related topics. Nelly Kats has over 22 years experience as a travel advisor. Originally from Lviv, Ukraine, Nelly lived in Chicago for many years before moving to the West Coast and calling Carlsbad her home. Nelly studied Fashion Design in college and was an Art Director before starting her career in travel. Her education and travel expertise allows her to plan amazing getaways for the most discerning clients. Nelly has traveled to over 30 countries, is fluent in Russian and her specialties include Eastern & Central Europe, Cruises, Hawaii and All-inclusive Resorts in the Caribbean and Mexico. In her free time she enjoys dancing and recently dazzled us in a local performance of the Nutcracker. Minerva Padilla (AKA Minnie) discovered her love for traveling at a young age. After completing her Bachelors of Science in Kinesiology, she realized travel was her passion in life and wanted an occupation that would allow her to share what she loves with her clients. This resulted in a career change from an exercise specialists to a travel advisor, entering the travel industry in 2014 in San Diego. Minerva recently became a Certified Romance Travel Specialist and feels she truly thrives in planning honeymoons and romantic escapes all over the world. She has lived in San Francisco, Paris and New York and believes that "Life is not meant to be lived in one place". When she is not working, Minnie loves spending time on the beach or anywhere outdoors. Some of her interests, besides traveling, are: food, wine, yoga and sports. Next bucket list destination: Iceland! Brianna Glenn considers herself a tastemaker of customized vacation experiences, and runs her boutique travel agency, Milk and Honey Travels, from her home in sunny Newport Beach, CA, or anywhere around the globe that has decent WiFi. Her wanderlust spirit was born during her career as a professional athlete. It was a career that not only allowed her to pursue her purpose and passion as a track and field athlete for over 10 years, but gave her the opportunity to fall deeply in love with the world and all the incredible places available to explore and experience. More than anything, Brianna loves helping people have better travel experiences. Her sweet spot in travel is where luxury meets authentic, and she is incredibly passionate about creating the right space for people to travel in a way that speaks to exactly who they are and what they desire to experience on vacation. Follow her adventures on Instagram!